The North Texas Suzuki Association, a SAA Chapter Affiliate, is going strong this year with 60 members! The area we serve is Waco, Texas through the Panhandle, though most of our events tend to take place in the Dallas/Fort Worth area. Have you considered starting an affiliate in your state? The mission of NTSA is to bring Suzuki teachers in our area together to sponsor events and training and to further the Suzuki movement and philosophy. There are two exciting events that we have on our calendar yearly. The first, which is extremely popular with our students, is the NTSA Trophy Festival. Students have the opportunity to play a polished piece for a Suzuki-trained clinician. Teachers register their students on the NTSA website and families pay a $15 fee. On the day of the event, the clinician gives the student a page of written feedback on their performance in addition to verbal praise. The student is then awarded a trophy- a beautiful, tangible reward for their hard work. Teachers in the area donate their time to listen to students (which is quite fun!) and local schools donate their facility for the day so NTSA only pays for the costs of the trophy. The money raised is then put into our NTSA scholarship fund. Last year NTSA awarded $3300 in scholarship money to local students and teachers to attend summer institutes. Our other yearly event is the annual NTSA Teacher Development Workshop. Teachers come from all over Texas to enjoy a two-day workshop to gain new skills and teaching inspiration and network with other Suzuki teachers. In recent years we have enjoyed learning from Teri Einfeldt, Jeremy Dittus, and Carrie Reuning-Hummel. Depending on the popularity of the workshop, many times we also are able to contribute excess funds to our scholarship fund, though we try to make the cost for the workshop low so as many of our teachers can attend as possible. We have one other large event which happens every two years and it is the NTSA Celebration Concert. Our next Celebration Concert will be in October of 2016, right around Dr. Suzuki’s birthday. Ideas are floating around the membership about having an “outward celebration” of Dr. Suzuki, by performing at retirement homes and hospitals around the area and then meeting up at a central location for a large community play-in. The hope is to include as many of our families as possible and to share the love of music and the Suzuki method with our neighbors. 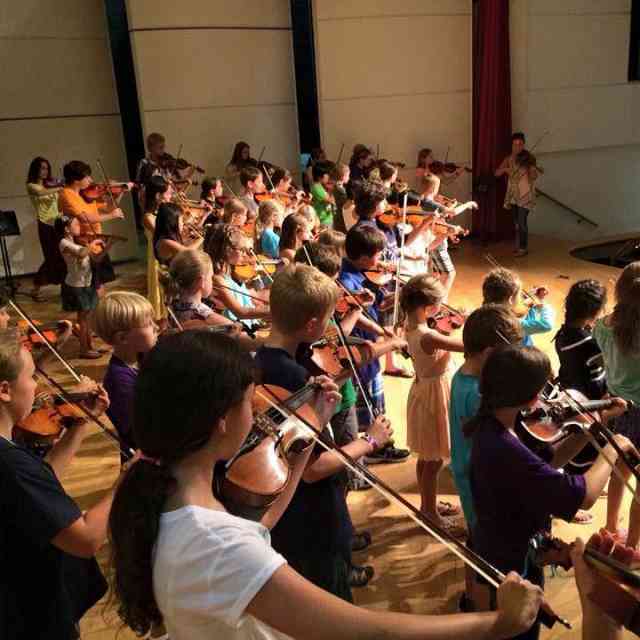 There are many different Suzuki schools in the area NTSA serves, from a large public school program with over 400 kids, to a large private Suzuki school in Dallas, to many home studios in Denton, Arlington, the Mid-Cities, Dallas, and Fort Worth. Most of our teachers play strings and piano and we strive to find ways for all of us, with our differing teaching situations and instruments, to unite together. Perhaps you are inspired to start an affiliate to bring teachers and families together and keep Suzuki strong in your community. 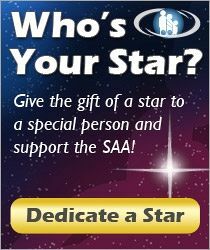 Feel free to contact us with any questions you may have or visit our website at www.northtexassuzuki.org. 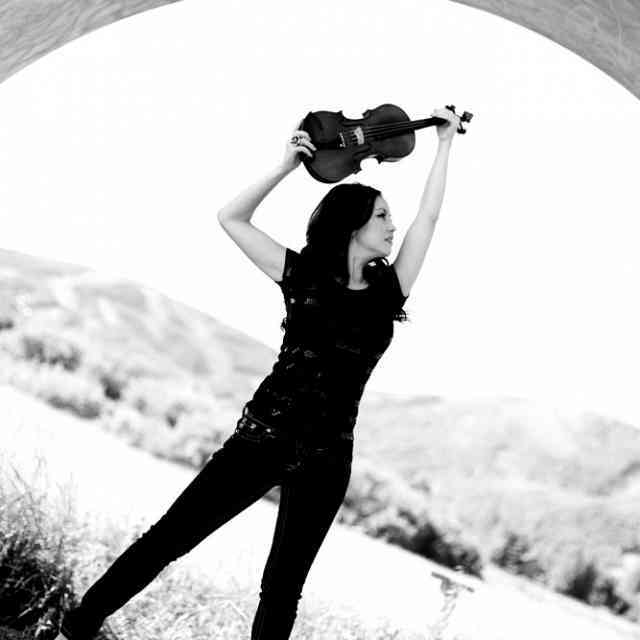 Amy Tomlinson has enjoyed teaching Suzuki violin for 17 years working with students of all levels. 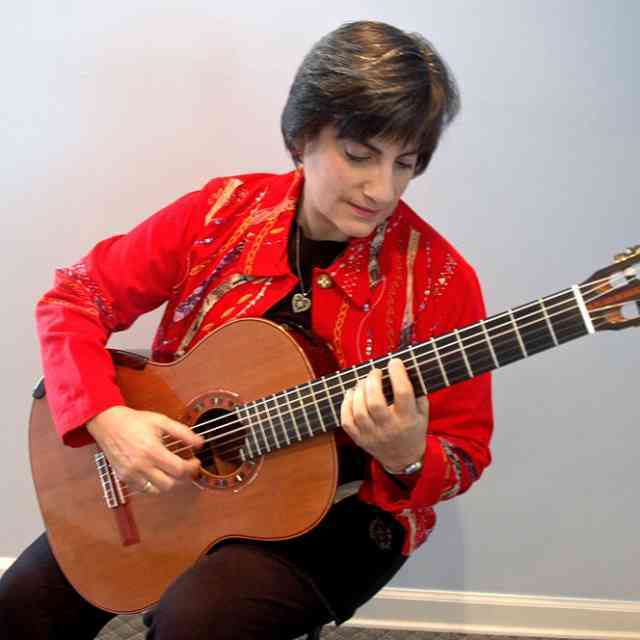 She graduated from the UT Austin with a Bachelor of Music Degree in Music Studies and East Carolina University with a Master of Music Degree in Suzuki Pedagogy and Violin Performance. While at ECU she worked with long-term teacher trainer Joanne Bath to complete training in Suzuki books 1-10. She has also completed additional units with various trainers on violin, viola, cello, a practicum, Suzuki Principles in Action (SPA) and the Suzuki in the Schools course. Amy taught in the Hurst Euless Bedford Independent School District (HEBISD) Suzuki Strings Program for 13 years. Currently she maintains a small Suzuki violin studio out of her home. Her most beloved job is being Mom to two young boys, who study Suzuki piano.